One of the easiest ways to add to your overall sense of wellbeing and create a space for others to experience wellbeing is to practice mindfulness and presence when you and another person are in the same space. So often we listen half-heartedly with multiple distractions – the cell phone, the ping of a text coming through, the TV or computer on in the background. All these distractions add to the chaos in our lives and limit our ability to communicate with one another. How many times have you seen people out to dinner and each is on their cell phone, texting someone else or texting each other? It seems more and more that we as a community are less and less able to conversate. 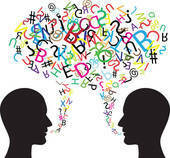 Conversation and the ability to connect is critical for success in everything we do, be it business, human services, family interactions, or communications between friends. Mosts Kids know how to do it from the get go – they lean into their own natural gifts for connection and approach life from their center. But somehow we lose those skills as we grow and the outer world takes over. There are a zillion training options out there that people can access, yet so often people get the training but miss the skills. I have found the key. Teach rhythm. Teach the art of energetic exchange. Expose people to it and build on it through practice. I knew this intuitively from years of training in performance art, mime training, energy and pranic healing work. When I worked for a local non-profit, I organized and led a monthly Coaching Circle with one of our service delivery teams. This started as a way to expose our staff to some of the principles and techniques in coaching as we worked with people in much transition. One of the sessions was focused on the art of establishing that first meeting with a client – the art of connection. 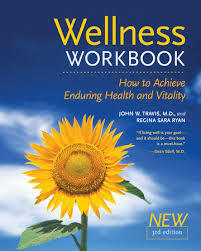 The curriculum I developed and delivered was informed by the wellness work done by John Travis, M.D. 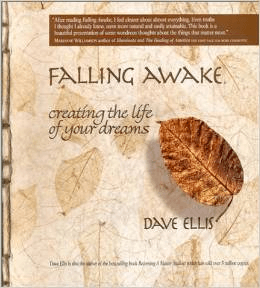 in the Wellness Workbook and Dave Ellis’ work in Falling Awake and his excellent Manual for Helping Professionals. I highly recommend these books if you are seeking practical resources to put valuable concepts to work in your life. Connecting with others is really about presence. And in order to be present, besides eliminating distraction, we use two very important life domains to focus our awareness: breathing and sensing. This is what we did. And BTW, Contrary to many advertisements where you see the words Please Don’t Try This at Home ignore that idea! Please Try This at Home. Warning: Taking this on could be Dangerous. You Could Establish a Real Connection! I began by framing up what happens when you first meet someone, no matter where you are – in the grocery store, at the doctor’s office, meeting a new client or associate. What happens in those first 7 seconds? People bring feelings, moods, energy to every encounter. And, your body picks up on the vibe – it senses energy whether positive, negative, hectic or peaceful – all in split seconds. The rhythm of ones breath tells its story as well. You may notice or not depending on how tuned in you are in the moment, but you are always giving or receiving energy and affected by its flow. And so using the concept of “speed dating” two rows of human service professionals paired off and experienced an old theatre mirroring exercise, silently moving for 3 minutes, one clearly the leader and one the receiver or follower. One the specialist and one the client. At the 3 minute trill, the leader moved right to the next client in waiting and began anew, establishing the connection, moving to his or her own rhythm with the client following. Each person listened with their eyes, bodies, and energy, some fluidly, some awkwardly, stepping sideways to the next experience every 3 minutes. Giggles and laughter erupted like gas bubbles. Then came the debrief. Some didn’t like to lead, others didn’t like to follow, some felt frustration and discomfort with remaining in silence, one felt silly. There was an admission of wanting to be in control. Each person shared from their own experience – they had not known how much they want to talk or be in control. We explored how these feelings affect our client interactions. Our clients come in fearful, or unsure of what to expect, not in control. How do they feel during those first meetings? Does following the staff’s lead feel just as awkward, just as uncomfortable? We did it again only during the next round the leader became the follower. The instruction: Once the connection was established and the follower flowing and mirroring the leader, the leader must pass leadership to the follower with no obvious gesturing – all through energetic awareness. Once accomplished, energy and leadership could be passed back and forth. Just like in a dance. “I learned the rhythm of a conversation.” “I learned I can lead and follow.” “I learned how to listen.” “I thought it was all kind of weird in the beginning but it all came together for me…I like it. I get it.” “I learned I don’t want to lead, I prefer to follow.” I learned. I learned. I learned. These fabulous professionals dug deep. I was blown away. Begin by sharing with that special someone that you’d like to try an experiement. Tell them it’s about creating real connection between the two of you. Tell them you learned a cool way to play with the experience and tap into other people’s moods and energy in a way that creates connection in split seconds. Let them know that they may feel silly during the process and that’s okay! Being silly is a little like being vulnerable when you are a grown up and that in and of itself creates intimacy. Tell them that is one thing you want more of…. 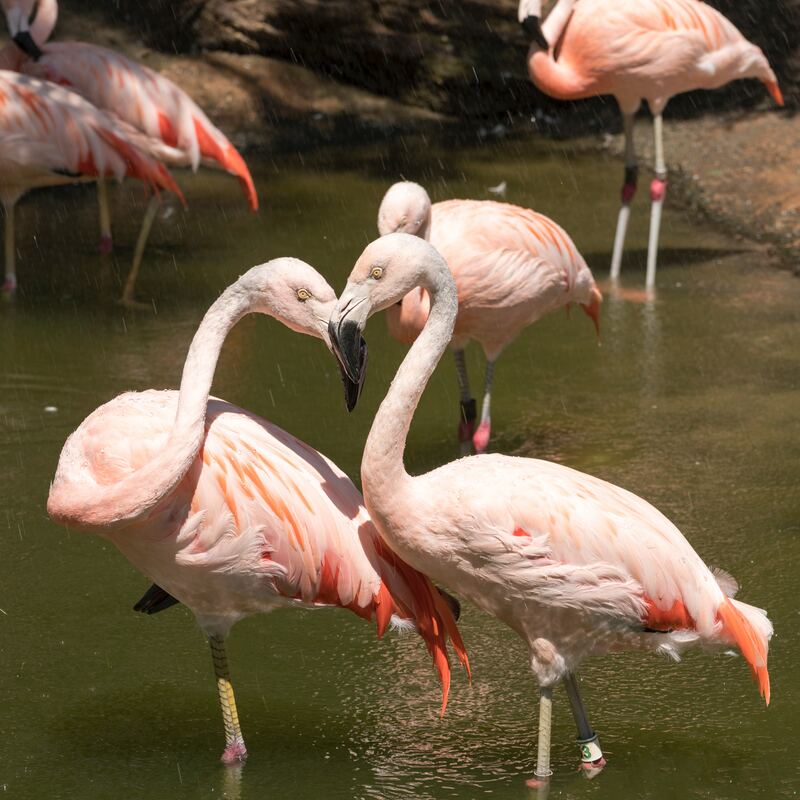 And if the Flamengos can do it, so can you. Ask permission to give it a whirl. If they are on for it, tell them you need to set up a time to do this when you both know there will be no interruptions. Once you have set the time and date, and found a space where you both are very comfortable, here are the next steps. Place two chairs opposite each other. Now, tell your partner to sit in the chair of their choice and get comfortable. As you both are sitting across from one another, tell them that you’ve learned that when you first meet someone, no matter where you are (you can use the same examples I did) in the grocery store, at the doctor’s office, or meeting a neighbor for the first time, that in the first 7 seconds an energy exchange happens. It also happens when you come into the room with someone you already know. The Rules of the Game are simple. No talking. All communication is non-verbal. At the 3 minute mark you both must freeze. The Leader will reset the 3 minutes and once reset that is the cue for the Follower to become the Leader and begin again. You as the Leader only ask that your partner mirror your movements, keeping eye contact and silently moving with you for 3 minutes. Your promise to each other is to be respectful and appropriate with the Follower when you are in the Leader role and you ask the same when they become the Leader. At the end of the 6 minutes, stop and share with each other about what happened during the experience. Ask how it felt for your partner and share honestly how it felt for you. One more Rule for Rules of the Game: Be Honest and Commit to not Judge each others answers. This is an opportunity for closer connection and that means staying in the Judgement Free Zone. Some questions to start the conversation: Did you like to lead or follow? How about your partner? What was present for you? Did you feel uncomfortable or frustrated? Did you want to be the one in control? Or not? Did you feel connected? Joyful? If you take this Connections exercise on I would love to hear from you about how it went – did it go well? Was it difficult to do without someone guiding you through it? Did your partner like it or did they think it ridiculous? (it is a reasonable response.) Was it tough to stay “Judgement Free”? Were you able to talk about the experience itself? Ultimately, thank you for giving yourself permission to explore. This may be a win-win for you both. Real connections take a bit of courage. Congratulations! You’ve earned a Connections Badge! Seek First To Understand...What then?